Every Business Needs an Exit Strategy. Do you want to Run Your Business Forever? Do you Want to Sell your business? Do you want to leave your business to your children? Do you want to sell your business to Your Employees? Do you Just want to close your doors and Move on? 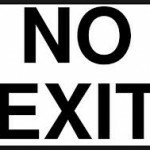 How do you want to exit your business ?- And when? Recently a good friend of mine that is a successful business owner contacted me about the prospect of selling his business in a few years. He asked me to contact him regarding what he may want to be doing now to prepare his business for sale. He has a successful growing business, he has grown his number of employees from 10 to 75 over the last 18 months. He is effective at gaining new contracts and growing revenue, but like so many businessmen, he has never attempted to sell his business. 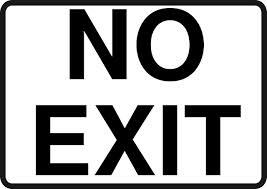 Normally during the startup of a new business the thought of an exit strategy is not even a consideration. Then small business owners get so involved with the day-today operation of their businesses that again an exit strategy is either not even thought of or possibly just put on the back burner. Taking some time to put some thought into your exit strategy can go a long way to increasing your odds of exiting your business the way you desire to. Planning, gaining knowledge, and preparing may be the 3 most important measures you can take when considering an effective exit strategy. Make sure your financials are in order. Clean understandable Income Statements and Balance Sheets will add value to your business. Systematize and document your operations and procedures. Well documented policies, procedures and practices are a sign of a well run company and probably would help your company run better, and add value. If you got hit by a truck tomorrow could someone use your documented practices to help continue run your business? Move your business towards a business that does not rely on you. Do your customers do business with your company or do customers do business with you. When you go to sell your business are you selling a business that is dependent on you the owner or a self-sustaining business based on a solid philosophy, solid customer service and reliable employees and practices. Or when you go away, does your business go away? Speak to your trusted advisers- let them know your intentions see if they have any input suggestions that could help move you towards this goal. Trusted advisers may include your attorney, CPA, financial advisor, business brokers. Learn by speaking to your trusted advisers what are the most important aspects that affect your business value. How does one value your business? What is most important to business buyers?- Your Assets, your cash flow, your sales, your number of customers, your patents, trademarks, your competitive advantage. Learn what the real driving factors are behind raising the value of your business and work on them. Understand that not all businesses that attempt to sell actually do find a business buyer and sell. Running your business and concurrently, preparing your business for sale is a viable approach towards business transition. It is not a” one or the other approach”. Preparing your business for sale does not need to get in the way of running your business, and most measures improve your business. If you make needed improvements to your business and or operations and decide not to sell your business or exit your business, you still most likely will have a better business on your hands. For planning purposes try to learn what the potential value of your business may be. Also educate yourself on the business buying or selling marketplace. It is not always the same. Selling a business during the 90’s was different than selling a business in 2006, and is significantly different than selling a business in 2010… and different than 2015 or 2020. If you think you want to sell your business in 5 years for $1M, attempt to understand what realistically your approximate value may be today. If your business may realistically only be worth $250,000- change your expectations, change your time frame, or maybe more importantly get to work on making necessary changes to your business. Tagged business broker florida, buy a business, exit strategy, Florida business for sale, how to sell a business, sell a business, small business owner. Bookmark the permalink.